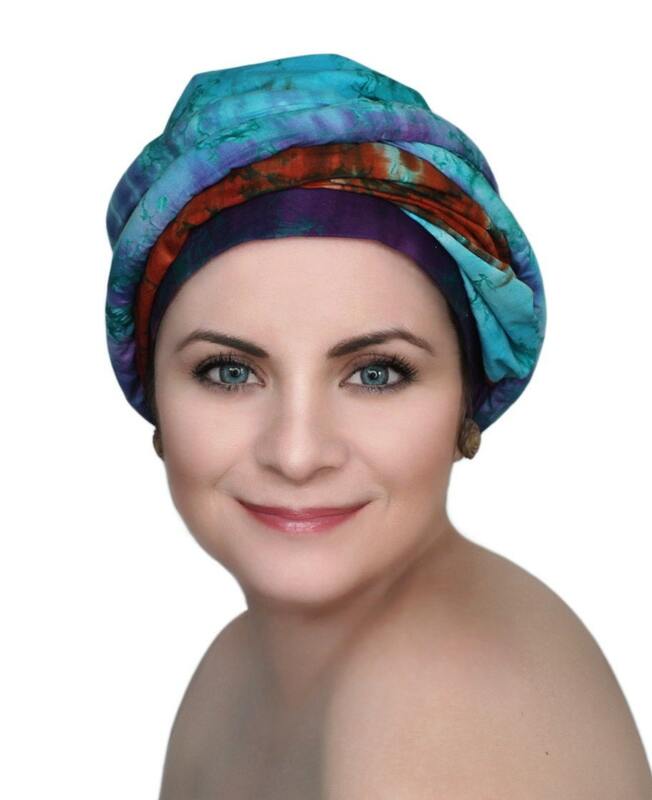 Limited Edition Rayon Batik Turban head wraps have enough body to wrap as high as you'd like, yet are light enough for all day comfort. You will LOVE these easy wraps! EASY instructions are sent with your order to get you started. 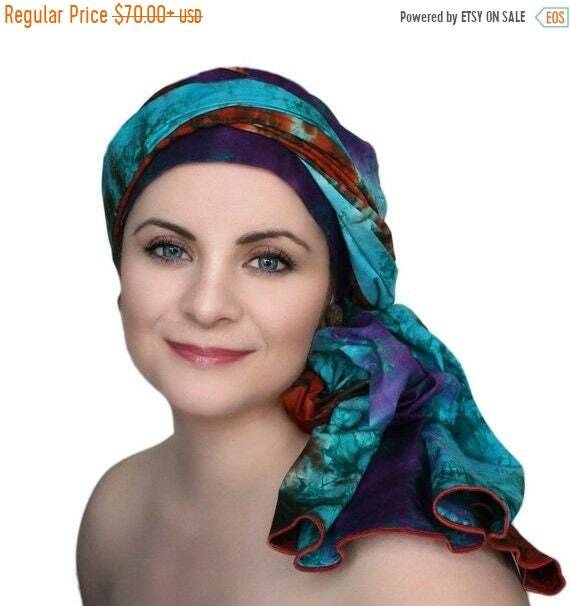 As long as a wrap scarf, but perfectly fitted with a seam so it stays securely on your head as you wrap. 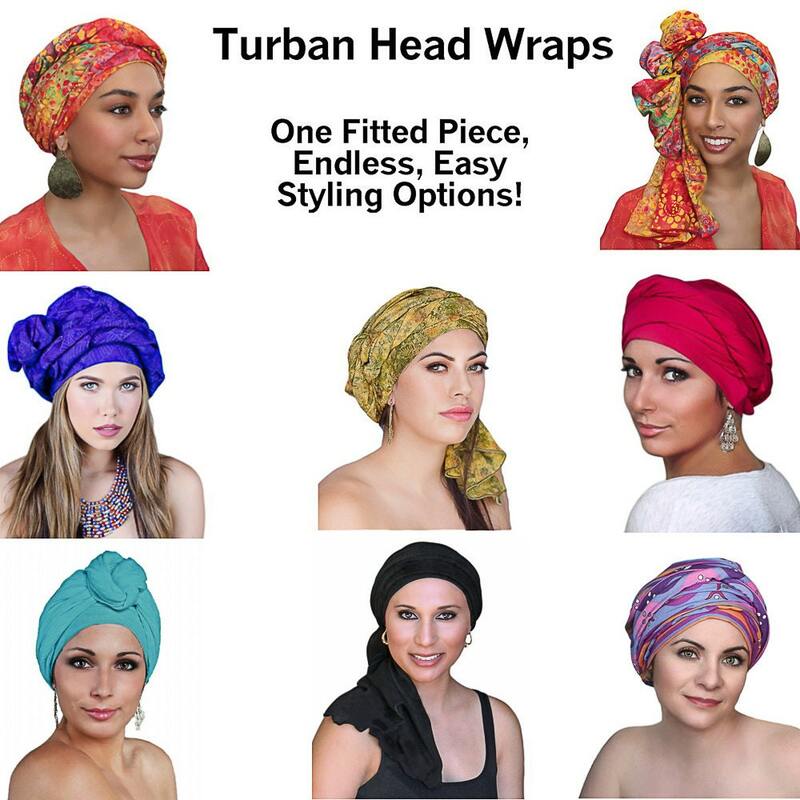 Lots of fabric to wrap into a gorgeous turban, and no slipping! Spread or twist the layers for your favorite look. 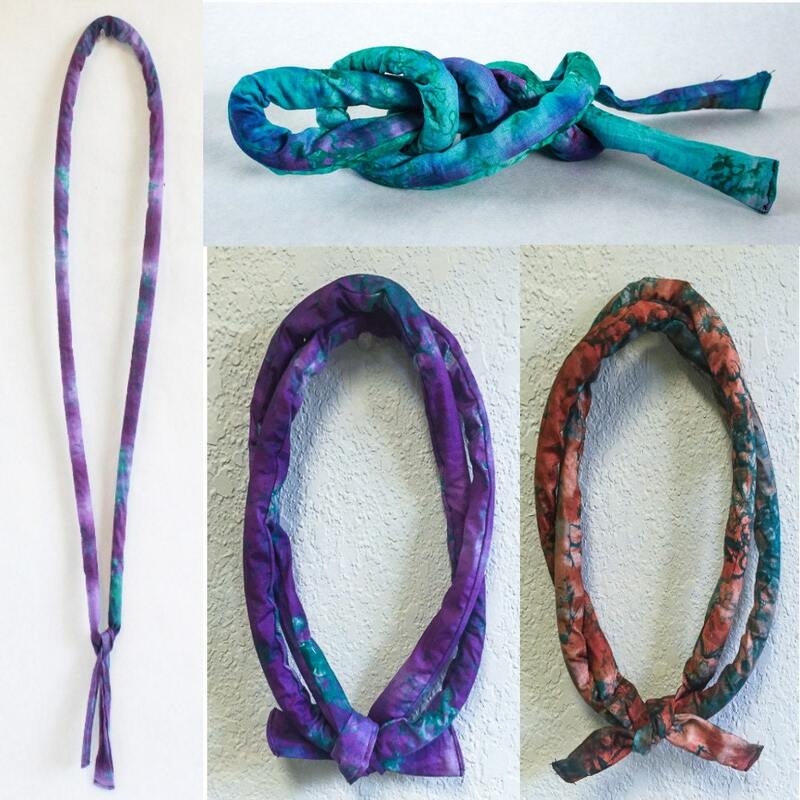 Wrap once or twice - tuck the end for a sash or wrap as a neck scarf. Twist and tuck the end for an elegant knot. Image #2 is shown with a matching 60x0.5" padded cord tie. Select from drop-down menu. NOTE: Due to the variation in the fabric, the cords vary in color (SEE LAST IMAGE), but match the overall fabric. If you have a specific preference, please let me know in the comments. ♥ Finished seams will not fray, scratch or irritate a sensitive scalp. ♥ Everything is made in a non-smoking, no-pets environment. ♥ One size fits 20-24 inches. If you are concerned about fit, please contact me about different sizing. Visit & join the conversations! Fabrics are my passion, and I always have something new. If you don't see what you want listed here, drop me a line. It just may be waiting on my workbench! International Buyers: Please see our policies for international shipping. My shipping fees cover postage only. Import duties, taxes,VAT, other import charges, delays and custom seizure of goods are the buyer's responsibility. Please check with your country's customs office to determine any additional costs prior to buying. Thank you. If your country is not listed, please contact me for rate.